The president promised to take action to stop climate change if legislators didn't, but the new EPA regulations are likely to encounter a stiff fight. In his January State of the Union address, President Obama urged Congress to take action to stop global warming. But he warned, "If Congress won't act soon to protect future generations, I will." He's following through on that pledge. Friday morning, the Environmental Protection Agency is releasing a draft regulation to limit carbon pollution from coal-fired power plants, the nation's chief source of global-warming emissions. The draft regulation is the first of four major regulatory steps the EPA will take to create a significant body of action on climate change before Obama leaves office. The president views these regulations as his global-warming legacy. The coal industry and its friends in Congress view them as a declaration of war. The rule was met with cheers from environmental groups, but will encounter a barrage of legal, legislative, and political attacks, chiefly from Republicans and coal supporters, who contend he climate regulations represent overreach by the executive branch, and that they will kill jobs, wage "war on coal," raise electricity costs, and damage the economy. The draft rule requires that all new coal plants built in the U.S. limit their emissions to less than 1,100 pounds of carbon pollution per megawatt-hour — slightly more than half the carbon pollution now produced by a typical coal-powered plant. The draft is an update of a proposal the EPA released in 2012, which was met with outrage by the coal industry. That rule required new coal and gas plants to maintain emissions levels of 1,000 pounds of carbon pollution per megawatt-hour. After meeting with power companies and coal groups and taking into account 2.5 million public comments, the Obama EPA's new draft rule allows coal plants to emit 10 percent more carbon emissions. EPA lawyers also worked to legally bulletproof the rule, which coal industry lawyers intend to challenge in court. However, despite the slightly looser carbon limits of the new rule, owners of coal plants will still have to install expensive "carbon capture and sequestration" technology. While the technology, which traps carbon pollution and injects it underground before it spews out of smokestacks, is commercially available, it could cost power companies billions of dollars to install. Instead, it's expected that power companies will simply invest in generating electricity from other, less-polluting forms of electricity, chiefly natural gas, which emits just half the carbon pollution of coal, but also wind, solar, and nuclear energy. As it happens, the climate rules coincide with a market shift from coal to natural gas. Thanks to the recent boom in production of cheap natural gas, electric utilities have stopped investing in new coal plants, and are already investing in building new natural-gas plants. But electric utilities that rely heavily on coal are still uneasy about the new rule. 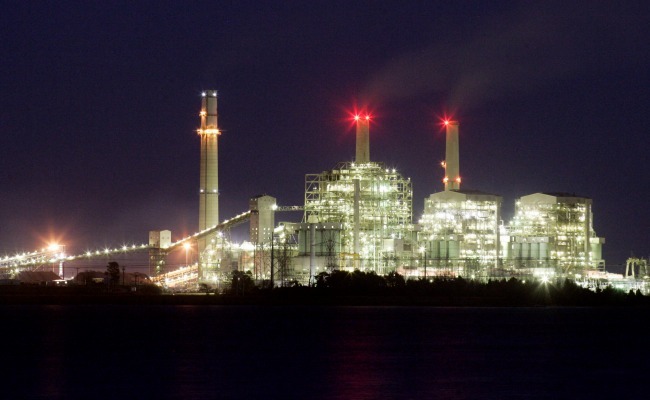 American Electric Power, an Ohio-based utility that owns one of the nation's largest fleets of coal-fired power plants, stopped building new coal plants before the regulation came out. "We have no current plans to build any new coal-fueled power plants both because we don't need additional generation, and it would be difficult to make an economic case for coal with today's low natural-gas prices," wrote Melissa McHenry, a spokeswoman for the company, in an email. But she added, "If we value maintaining fuel diversity as a nation, a proposed rule that effectively eliminates coal as an option for new power plants is a serious concern, particularly if today's plentiful supply of low-cost natural gas can't be maintained." Meanwhile, Friday's action sets the stage for an increasingly aggressive set of EPA climate regulations on coal plants. Following this step, EPA will start drafting a far more controversial regulation, requiring cuts in carbon pollution from existing coal plant — a measure that could lead to closure of current plants. Obama has told the agency to propose that rule by June 2014. By June 2015, just six months before Obama leaves office, the EPA is expected to issue final versions of the regulations on new and existing plants. Those could, in the years that follow, freeze construction of new coal plants, lead to closures of existing plants, and further drive the electricity market toward lower-carbon forms of new electricity. So while today's draft rule is significant, it's just the first step in the administration's plan to issue the high-impact final rules in the waning months of the Obama Administration. The coal lobby and its allies in Congress have preemptively attacked the rule. On Thursday, Rep. Ed Whitfield, a Kentucky Republican and chairman of the House Energy and Commerce subcommittee that oversees energy and climate policy, called EPA Administrator Gina McCarthy and Energy Secretary Ernest Moniz before his panel, and slammed the climate rules. They will "further the economic uncertainty facing our nation's utilities and have devastating effects on our communities an, most importantly, the consumers who pay their electricity bills every month," he said. Whitfield intends to introduce a bill in the House to block the carbon limits. While Whitfield's measure stands no chance of passage in the Democratically controlled Senate, Republican strategists hope it will put House Democrats in a tough position: Democrats from coal states, as well as Rust Belt and Farm Belt states, who vote against rolling back the rule will see that vote haunt them in campaign ads, said Jordan Davis, policy director for the National Republican Congressional Committee. McCarthy, who as head of the EPA will be the public face of the new rules, shot back that the dangers of climate change caused by greenhouse gases present one of the greatest and potentially most devastating challenges of our time. "If our changing climate goes unchecked, it will have devastating impacts on the United States and the planet. Reducing carbon pollution is critically important to the protection of Americans' health and the environment upon which our economy depends," she said. However, she added, "we have to be sensitive to economic consequences of our action." McCarthy has begun criss-crossing the country to make the case for the climate rules to the American public. Last month, she spoke at events in Alaska and Iowa — where she attended the Iowa State Fair with Republican Gov. Terry Branstad.